Manufactured by Swisher International since 1997, Blackstone Filtered Cigars are made with premium quality home-grown tobacco procured from the United States and put together in Jacksonville, Florida. These cigars were designed for smokers who want all the interesting tobacco blends a cigar has to offer without the hassle that comes with a large size. They offer a satisfying, intriguing medium-bodied smoke and a full draw along with an aromatic experience. For those of you who prefer a sweet and mellow palate will enjoy what this cigar has to offer. 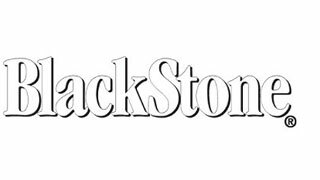 You truly get the best of both worlds with Blackstone. As a smoker you are guaranteed a powerful, yet balanced taste because of the beautiful blend of pipe tobaccos. Not to mention, the inviting aroma that lingers on your lips long after the cigar has been finished makes these smokes something so memorable. Whether you are an occasional smoker or an enthusiast, you can light up these cigars at almost any time of the day. Their impressive foil packaging ensures that they remain fresh for a long time and don’t get damaged. They are enclosed with homogenized tobacco leaf as the wrapper and binder that brings a certain balance to the flavor profile of the smoke. Sophisticated yet affordable, these cigars are available in two flavors, Cherry and Vanilla. The former, infused with a mouth-watering touch of cherry, offers an interesting twist to your smoking experience while the latter, a quirky combination of pipe tobacco and vanilla, really sets it apart from others of its kind. • Origin: Machine-Made in Jacksonville, Florida.